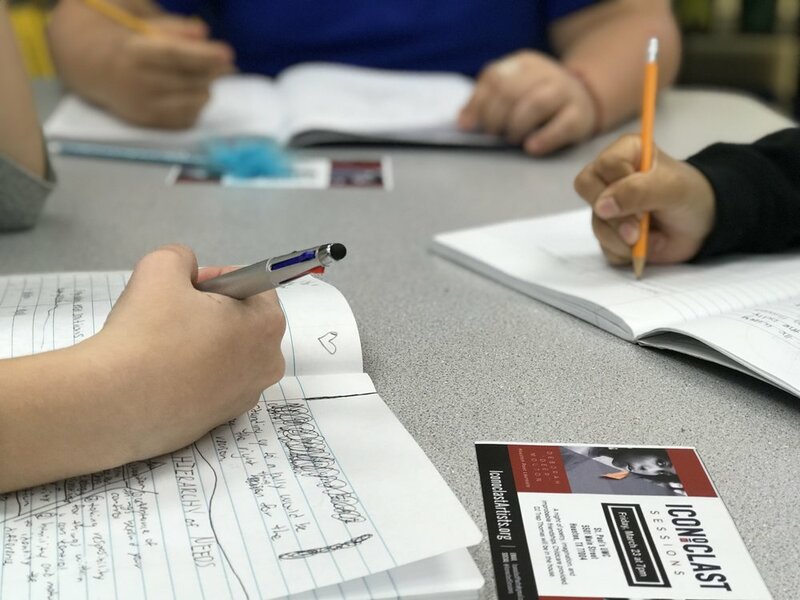 Iconoclast is a free arts program in Houston and Galveston, Texas that gives young creative minds from disadvantaged situations a chance to speak out through written, visual and performance art. Each year, our young artists compile their work into a book. The “THEY SAY” anthologies are inspiring collections of poetry from some of our most talented creative minds. Iconoclast is a non-profit organization. 100% of donations go toward helping young artists express themselves. Any gift is greatly appreciated.